Defiance 2050 is an epic fast-paced third-person shooter game developed by Trion Worlds. Join your friends and become an Ark Hunter in a massive cooperative online shooter like no other. Choose from an array of fully customizable weapons and classes, and explore a unique futuristic open world. Seek fame and fortune as an Ark Hunter in a compelling sci-fi narrative. Fight it out through fast-paced third-person shooter combat in a massive open world. Battle alien races alongside hundreds of other players in massive dynamic world events. Craft a perfect Ark Hunter via thousands of unique class, weapon, and upgrade combinations. If you get stuck in the game, check out the video walkthrough and gameplay for the game. 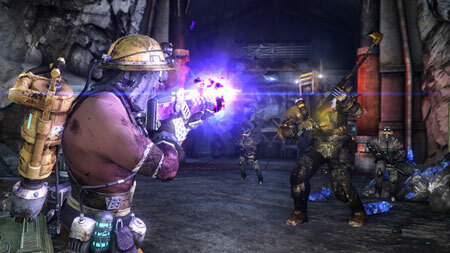 This entry was posted in PC Games, Walkthrough and tagged Defiance 2050 Cheats, Defiance 2050 Game, Defiance 2050 Gameplay, Defiance 2050 Guide, Defiance 2050 Hints, Defiance 2050 Review, Defiance 2050 Solutions, Defiance 2050 Strategy, Defiance 2050 Tips, Defiance 2050 Walkthrough by Marvin. Bookmark the permalink.